Far to the north, on the shores of the North Sea, lies Aberdeen, Scotland's third largest city. It started as a fishing town, expanding as a centre of trade with its large harbour. Much of its wealth also now comes from the oil industry, due to the supply under the North Sea. It's also known as the "Granite City", since its buildings are overwhelmingly grey in colour, made from stone mined in the local quarries. It also has a beach and plenty of green spaces too, and is home to the University of Aberdeen, the third oldest in Scotland, dating from the 15th century. Robert Burns is the National Bard of Scotland, his poetry and songs having endured for hundreds of years - Scottish children still study him at school from a very early age! Every year, we celebrate his birthday, on 25th January, by hosting Burns Suppers. These involve various rituals, including piping the haggis into the room, and making a speech about his life, called the 'Immortal Memory'. The meal is traditionally haggis, served with neeps (turnips) and tatties (potatoes). After eating, the company makes more speeches, and recites as many of Burns's songs and poems as they choose. We Scots do like to throw a party, and there's no better kind than a ceilidh. This is a gathering where people come together to take part in traditional country or ceilidh dancing, accompanied by live musicians. The dances normally involves pairs or sets of six or eight, though a few will have the whole room in a circle. A caller will typically shout out the moves, so you can join in whether you are a beginner or an expert; every child in Scotland learns these dances as part of the school curriculum, but still forgets them as an adult! Ceilidhs sometimes also involve traditional songs and storytelling, along with copious amounts of whisky and other drinks! Scotland definitely has no shortage of distilleries, producing the national drink, whisky, known as uisge beatha in Gaelic, translated to "the water of life". There are various regions, each of which produces whiskies with slightly different notes and flavours - however, to be properly called Scotch Whisky, it must mature in oak barrels for at least three years. There are over one hundred active distilleries around the country, and thousands of varieties of Scotch available! The capital of the country, and the city I currently call home. 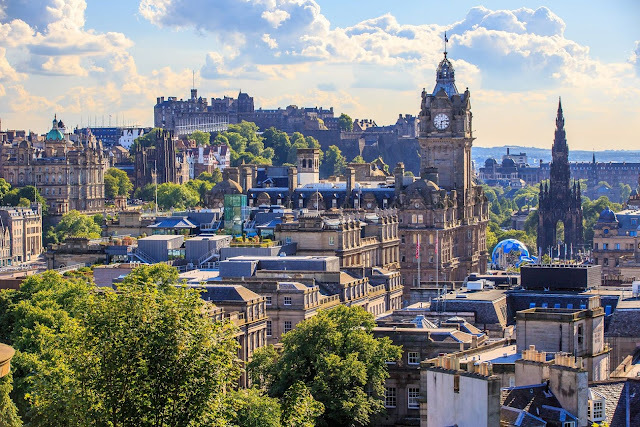 Edinburgh has historically been the seat of Scottish royalty, and of parliament, and was where the country was ruled from, up until the Act of Union in 1707, uniting it with England. Now, Edinburgh still has its historic Old Town, full of notable landmarks, as well as all the components of a modern city. The University of Edinburgh consistently ranks within the top 20 in the world, and the city has a rich literary history, with many authors hailing from here, and which led to it being made a UNESCO City of Literature. It's also a city with a dark, dangerous past, with more ghosts roaming the streets than anywhere else in the world! Edinburgh's population surges every August, as performers and tourists flock to the city for the Festival Fringe. It has been running for over 70 years, and is the largest performing arts festival in the world, taking over hundreds of venues around the city for three weeks every year. It was started in opposition to the International Festival, which invited only elite performers to take part; the Fringe is open to anyone, resulting in all sorts of weird and wonderful shows taking place. Shows are held well into the night, and start up again early in the morning, so the party never ends for those three weeks! The largest city in Scotland, and quite a contrast to Edinburgh, its neighbour to the east. Glasgow was formed on the shopping industry, starting off as a sea port and expanding with the Industrial Revolution, when the shipbuilding and marine engineering industries soared in the city. It was also a centre of education, with the University of Glasgow being the oldest in Scotland. Nowadays, it is a modern city, popular for its shopping, nightlife, and its fantastic music scene, which led to it being made a UNESCO City of Music - I've been to many, many concerts in the city's various venues! I mentioned haggis briefly, as part of a Burns Supper, but what is the Scottish national dish actually made from. A popular story is that haggis, or haggii, are strange little creatures that live in the Highlands, round podgy things, with button ears and small eyes, and who have longer limbs on one side of their body than the other, to allow them to stay balanced on the steep hillsides - though of course, they can only run in one direction, or else they roll to the bottom. They are notoriously difficult to catch, making haggis hunting a very popular sport! The truth? Haggis is made from a sheep's heart, liver, and lungs, mashed up with grains and spices, and stuffed back into the sheep's stomach before being cooked. Any Outlander fans will have heard of the Jacobites, but here's the rundown for everyone else... King James II of England (VII of Scotland) was a Catholic ruler, at a time when the majority of the UK was Protestant. He tried to put in place policies to help Catholics, but this was frowned upon by other nobles, ultimately resulting in his deposition in 1688 after the Glorious Revolution, with his Protestant daughter, Mary, and son-in-law, William, taking over the throne. The Jacobites were the people who still believed James to be their rightful king, and for many years they tried to restore him, his son (James Francis Edward, the Old Pretender), and his grandson (Bonnie Prince Charlie, the Young Pretender) to the throne. There were several Jacobite uprisings in the early 18th century, but ultimately, all of them failed, and the Highland clans had many rights stripped from them as a result. The most well-known kelpies in Scotland are the two massive horse head statues in Falkirk, built in tribute to the heavy horses of Scotland, who drove our economy with their work. However, the original legend associated with them is slightly more sinister. 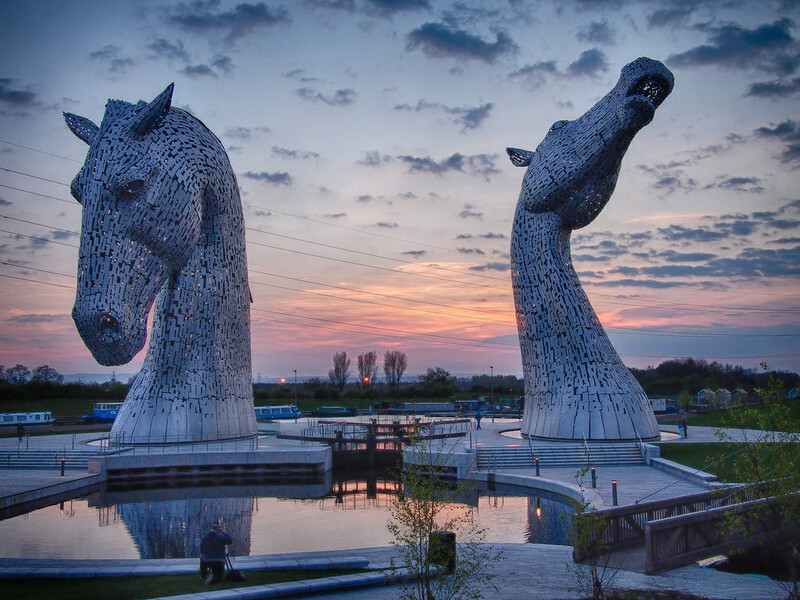 A kelpie is a water horse spirit, and a creature of darkness. They live near bodies of water, and will appear as a white horse. Their beauty captivates people, but when you move close enough to stroke the horse, its mane will tangle around your hands, pinning you in place. The horse then leaps into the water, dragging you under until you drown. They may also shape-shift into a human form, and lure victims with their beauty that way. Scotland has hundreds of lochs (lakes), but I've gone for the double letter L this time, and Loch Lomond is one of the most famous. Located north of Glasgow, it has the largest surface area of any lake in Britain, and has dozens of islands within its banks. It's part of the Trossachs National Park, making it a popular location for holidays and water sports, as well as the other outdoor activities on offer in the rest of the national park. It is also famous from the song "The Bonnie Banks o' Loch Lomond", first published in 1841, and still popular today! Scotland is a paradise for hill walkers, from the gentle slopes of the Lowlands to the rugged mountains of the Highlands, all providing spectacular views. The Munros are the hills over 3, 000 ft in height, and "Munro bagging" is a popular activity among hill walkers, as they try to conquer all 282 of them - over 6, 000 people have accomplished the whole feat, and are known as compleatists. At over 4, 000 ft, Ben Nevis is the largest of them all, but many of the lower peaks are more challenging! 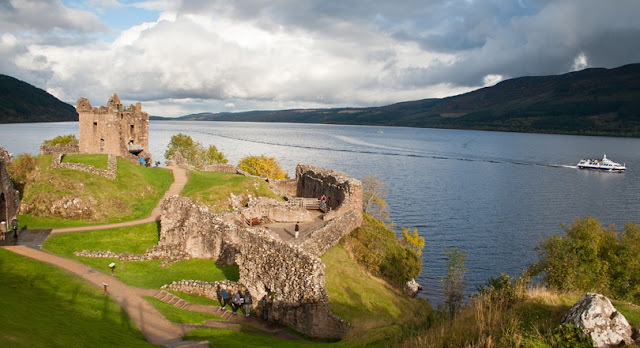 Loch Ness holds more water than every lake and river in England and Wales combined, so it shouldn't be surprising that a monster may live in its depths. Legends of the Loch Ness Monster have been around for hundreds of years, with over 1, 000 eyewitness accounts claiming to have seen her. She is thought to resemble a plesiosaurus, an extinct dinosaur, with a round body, flippers, and a long, undulating neck that protrudes from the waters. Scientists have uncovered some unexplainable evidence over the years, and the loch is too large to effectively scan with sonar - many of the locals who live on the shores of Loch Ness are adamant that she exists! The Orkney Islands are a group of about 70 islands off the north coast of Scotland. They belonged to Norway for a time, taken during the Viking settlement of Scotland, before being returned to the Scots in the 15th century. It's also home to the remains of early settlers, including Skara Brae, which at 5, 000 years old, predates even the Pyramids. There are numerous other archaeological sites too, as well as a stunning array of wildlife and natural scenery. You might even be lucky enough to see the Northern Lights from here! 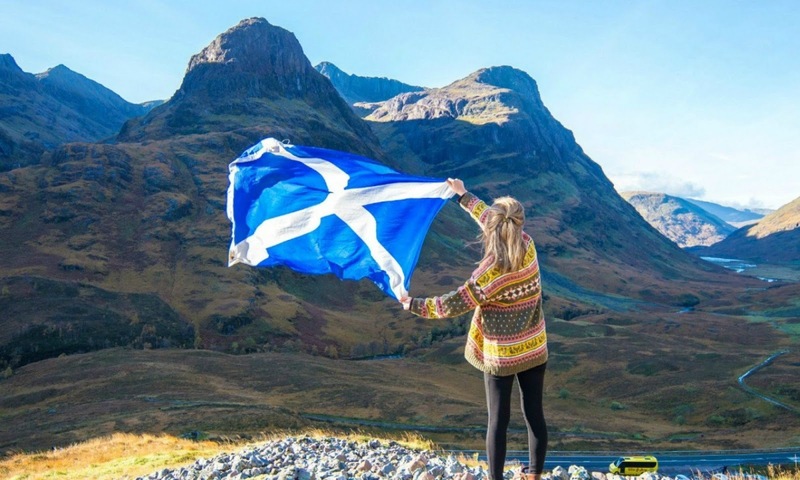 As previously mentioned, the Scots voted in a referendum in 1997 to reinstate Scottish Parliament, giving it devolved powers, after it was closed with the passing of the Act of Union in 1707. The old parliament used to meet in the buildings in Parliament Square, behind St Giles' Cathedral on the Royal Mile, but a new building was commissioned for the reopening, since the old one is now the Scottish Supreme Courts. It was designed by the Catalan architect Enric Miralles, who passed away before seeing its completion. It's a controversial building, as the modern design doesn't blend with the rest of the Old Town, and it was completed three years late, and went massively over budget, costing £400 million, ten times more than the original estimate of £40 million. Scotland has had many kings and queens over the centuries, firstly with its own royal family, then shared with England after King James VI ascended to the English throne. However, the most famous queen by far is Mary, Queen of Scots (also James VI's mother), who had the most turbulent life story. She became queen at just a week old, but grew up in France for her protection, while her mother ruled as regent. Her French husband, King Francis, died young, and Mary returned to Scotland, where she married twice more, with her second husband being murdered, resulting in her being forced to abdicate. She fled to England, seeking protection, but was imprisoned by her cousin, Queen Elizabeth I, who eventually had her executed for plotting her murder to take the throne for herself. Rob Roy MacGregor was a historic figure in Scottish history, who has gone on to become something of a folk hero. He first gained notoriety with his participation in the first Jacobite uprising, in 1689. Later in life, he became a cattleman, but stole money from his investors and became a cattle thief, resulting in he and his family being branded as outlaws, and their house burned down. He became known as a sort of Scottish Robin Hood, stealing from the wealthy, and even from the armies on both sides of the battle in Jacobite uprising of 1715. His life was turned into a historic novel by Sir Walter Scott, which rather glamourised his escapades, giving him this folk hero status. The Isle of Skye has become an increasingly popular tourist destination in recent years. It's the largest of the Inner Hebrides, the islands off the west coast of Scotland, and boasts some truly breathtaking natural scenery. The Fairy Pools are one of the most photographed locations, but there's plenty of other beautiful places to see, and great hiking opportunities. Like most Scottish islands, it is rural and rugged, dotted with small fishing villages around the coast, and the largest town, Portree, is full of brightly painted houses. There's also a wealth of history on the island to discover, from prehistoric ruins to medieval castles. The national flower of Scotland is, in fact, a weed, which has spawned numerous jokes about it over the years. 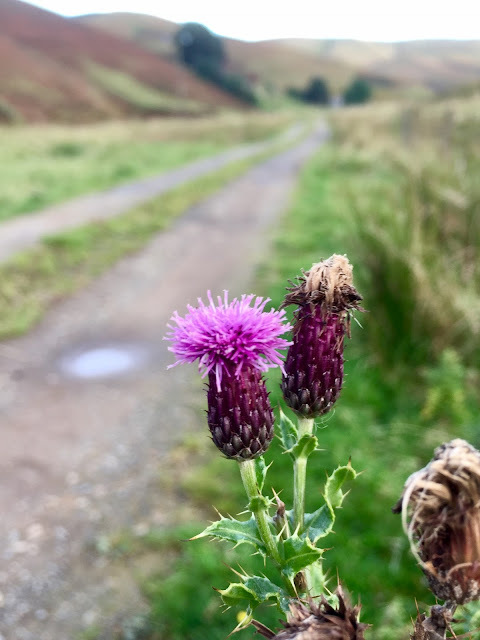 The thistle is thought to have been the national symbol since as early as the 13th century, and was first used on silver coins in the 15th century, during the reign of King James III. One legend about the origins of our national flower is that during the Viking invasions, a group of Norsemen were sneaking up on some sleeping Scottish soldiers, when one of them trod on the spiky plant, causing him to yell out in pain, waking and alerting the Scots. Whether this is true or not, the thistle is an important symbol of the country now, both beautiful and wild, much like the Scottish! And speaking of symbols, the national animal of Scotland is the unicorn. Yes, a mythical creature to go alongside our weed. This also dates back to the 12th century, when the unicorn was used on the royal coat of arms of William I. It was chosen because of its connotations of bravery, chivalry, and masculinity. Also, like the thistle, it is a wild, majestic, and untameable creature - again, much like the Scottish! It's also interesting to note that the unicorn is the only creature thought to be able to defeat a lion in battle - which, funnily enough, is the national animal of England! No, I haven't gone mad, yes there are volcanos in Scotland. Fortunately for us, they've all gone extinct these days. In prehistoric times, Scotland was attached to the land mass that is now North America, and was much further south on the globe. As the continent shifted over the millennia, volcanos formed on the land that is now Scotland. These went extinct, and then the Ice Age came along, resulting in the rugged land formations that make up our country today. The most iconic volcanos in Scotland are those that Edinburgh is built on, Arthur's Seat and Castle Rock. Do not believe everything in Braveheart, it's a highly inaccurate film! However, William Wallace was a real person and one of the legendary figures of the Wars of Independence in the late 13th century. He attacked the town of Lanark, inciting rebellion amongst the Scots, and was named "guardian of the kingdom". He led a remarkable victory over the English at the Battle of Stirling Bridge, but later lost the Battle of Falkirk. He was eventually captured by the English in 1305, and found guilty of treason - which he denied, stating that Edward I was not his king - and executed by being hung, drawn, and quartered, his body parts scattered to different parts of Scotland, while his head was put on a pike on London Bridge. I'm cheating a little bit here with the last letter, but Knox was a very important figure in Scottish history. He served as minister of St Giles's Cathedral in Edinburgh, where he preached in favour of Presbyterianism, a style of worship that was simple and humble, without the wealth and hierarchy of the Catholic church. This was the start of the Scottish Reformation, a movement which converted most of the country to his Protestant ways. However, he was also a highly misogynistic man, who believed women were too weak to be leaders - which naturally caused great conflict with the country's monarch at the time, Mary, Queen of Scots, who was also a Catholic! The history of the Yule season in Scotland is pretty interesting. The new Protestant church of the 16th century discouraged celebrating Christmas, as it bore no resemblance to what was actually in the Bible, and then an Act of Parliament banned it entirely in 1640, though this only lasted for about 40 years. During this time, the Scottish people only celebrated quietly, amongst close family, and even after the ban was lifted, the day wasn't a public holiday until 1958, so most people had to continue working as normal. This is also thought to be why we celebrate New Year (Hogmanay as we call it) with such enthusiasm, as it was the only winter holiday we had for a long time - and now we actually take both 1st and 2nd January as public holidays! Ha, I found something for Z! This was the archaic spelling of Shetland, the islands further north of Orkney, taken from its Norse name, and the postcode area still starts with ZE. The Shetland Islands merge Scottish and Norse culture in many ways, since they belonged to the Vikings for until the 15th century, and one of their most popular events is the Up Helly Aa fire festival, held annually to mark the end of the Yule season. Many of the islands are still uninhabited, and therefore boast a rich array of flora and fauna. Shetland also has a strong musical tradition in its culture, as does much of Scotland.